This article appeared in the May 25, 2016, Tastings, a special publication about food and dining from the Register-Guard. 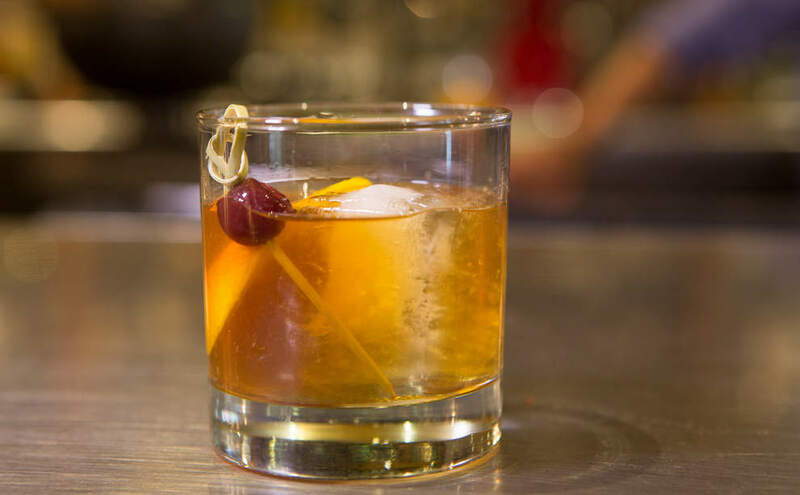 When you’re shaking up a classic cocktail that calls for bitters, such as a Manhattan or Sazerac or Old Fashioned, it might be tempting to leave them out. After all, it’s only a scant drop or two. Even though they don’t add much volume, bitters deliver a concentrated flavor of plant extracts that can be bitter, sour or even semi-sweet, resulting in a more balanced flavor in your drink. Marché stocks about 30 bitters, primarily from Fee Brothers, Bittermens and Angostura, whose classic bitters recipe has remained unchanged since 1824. Angostura’s primary ingredient is the earthy gentian root. Fee Brothers produces 12 flavors of bitters, including celery, cherry, cranberry and peach. Marché uses these bitters in classic cocktails such as the Manhattan, which traditionally pairs Angostura with bourbon, or its new cocktail Going A Rye, which uses rhubarb bitters and cardamaro, a digestif made from cardoon, a relative of the artichoke. “Digestifs are served after a meal, and they are categorized as bitters as well; however, they are made to be drank in ounces rather than the minute quantities we’re talking about with bitters,” Hisamura explains. 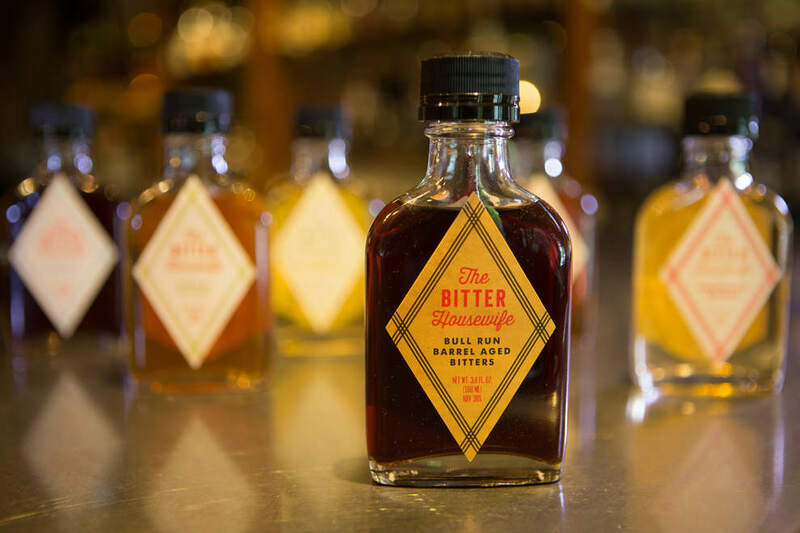 Two Portland companies, Portland Bitters Project, started by Cindy Capparelli in 2013, and The Bitter Housewife, founded by husband-and-wife team Dan and Genevieve Brazelton in 2012 and rebranded in 2014, are helping drive a surge of interest. Aromatic is The Bitter Housewife’s version of Angostura. “It’s a little less fruity and a little heavier on the baking spices like vanilla, cinnamon and nutmeg,” Brazelton says. Marché’s Provisions Market Hall carries The Bitter Housewife’s Aromatic, Cardamom and Grapefruit bitters. Bitters originally were prepared as medicines, and incorporated strong-smelling botanicals such as cinnamon and cloves, and herbs considered to be beneficial. Angostura, for instance, originally was sold to sailors as a cure for seasickness. There are as many recipes for bitters as there are people who ever made them, so each brand’s flavor profile will vary. Some may be stronger on the baking spices or include ginger for a little zing, for example. Sample a few to hone in on the flavor you find most appealing. If you can’t open a bottle to smell it, and you’re not sure what flavor to buy, a general rule is that light-colored bitters go well with light spirits, such as gin or vodka, while dark bitters will enhance dark liquor. Something like her Cardamom bitter, Brazelton says, bridges the color spectrum and works surprisingly well with all kinds of liquors. The Bitter Housewife: Provisions Market Hall, in Eugene’s Fifth Street Public Market, carries The Bitter Housewife’s Aromatic, Cardamom and Grapefruit bitters.